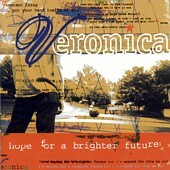 Middle of the road pop-punk about girls, crushes, and life when you're young, Veronica is what you come to expect when you hear the term pop-punk thrown around. And though they're not groundbreaking, they do know what they're doing, creating melodic, fast, and fun songs that make you remember your high school days and smile. It's nothing you'll miss if you never hear it, but if you like pop-punk, it's good at delivering what you'd expect. I'll give it a C+.